Raise your hand if you’ve ever made a new year’s resolution about money. Okay, I can’t see through the screen, but I’m pretty confident you’re raising your hand. Now raise your hand if you lost momentum before June. Eek! That’s a lot of us, right? What is it about new year’s resolutions that are just so hard to maintain? In fact, only 8% of people actually keep their resolutions. I think the fundamental reason is that we expect too much of ourselves, and our goals are not sustainable in real life. But if there’s one type of resolution you can’t afford (pun intended!) to not keep, it’s new year’s financial resolutions. Getting your finances under control, building wealth, planning for retirement, and experiencing financial freedom needs all your momentum- not just on January 1. Assuming you want to be debt free (who doesn’t?! ), you need everything working FOR you…not against you. In the world of finances, the thing that works against you the most is interest. With the average credit card interest rate over 19%, you can quickly fall into quicksand with your credit card debt. But did you know that you can lower your current credit card interest rate? In fact, I called on two of my credit cards, and all I did was ask if I could get a lower interest rate. One credit card reduced my interest rate by HALF! The other credit card reduced my rate from 21%….to 0% for a year! You want your payments to attack the principal and not interest, so drastically reducing your interest is essential. Years ago when I bought Flip 1, I was incredibly broke. I’m sure many of you loyal readers are familiar with the story (but if you aren’t, get caught up here). At the time, I was getting my meager salary check every two weeks, and I simply couldn’t afford to pay my full monthly mortgage payment on the 1st of every month. I needed to pay bi-weekly, but, as you may have discovered, most mortgage companies don’t allow that- which totally baffles my mind! And that’s when I stumbled on Bisaver. Bisaver is a third party (they aren’t in the business of giving mortgages) that drafts my mortgage payment every two weeks. Although I’m in a different financial situation now, I still love the convenience of a bi-weekly draft. But did you know that by using a bi-weekly draft, by the end of the year an extra mortgage payment is applied to the loan! By doing that over the course of the loan, you end up paying off your loan before it amortizes! Bisaver doesn’t give loans or refinance. They are simply the middle man. If you’re in a situation where debt has overcome your life, and it seems like there isn’t an end to the tunnel, recognize that many Americans are in that boat. But there are people, an entire community, that want to help and are experienced in helping people make better financial choices. Finding a community that strives to be debt free, strives to build wealth, and strives for financial freedom is essential to help you reach your financial goals for the new year. Financial Peace University by Dave Ramsey. If you’re new to Dave Ramsey and want more information, listen to his daily radio show (free on Facebook!). Bigger Pockets Money. This is a branch from the original Bigger Pockets- a real estate investing podcast. Instagram Debt Free Community– If you have Instagram, search the hashtag #debtfreecommunity. You can follow the hashtag where many people just like you are posting about their progress, their own tips, and what is working for them. Follow Passion For Savings. Heather is one of my childhood friends that has made a career in helping people save money! Her videos and blog focus heavily on coupons, sales, and how to save money when you buy essentials. Regardless of what your financial resolutions are for the new year, setting yourself up for success now will make it easier. 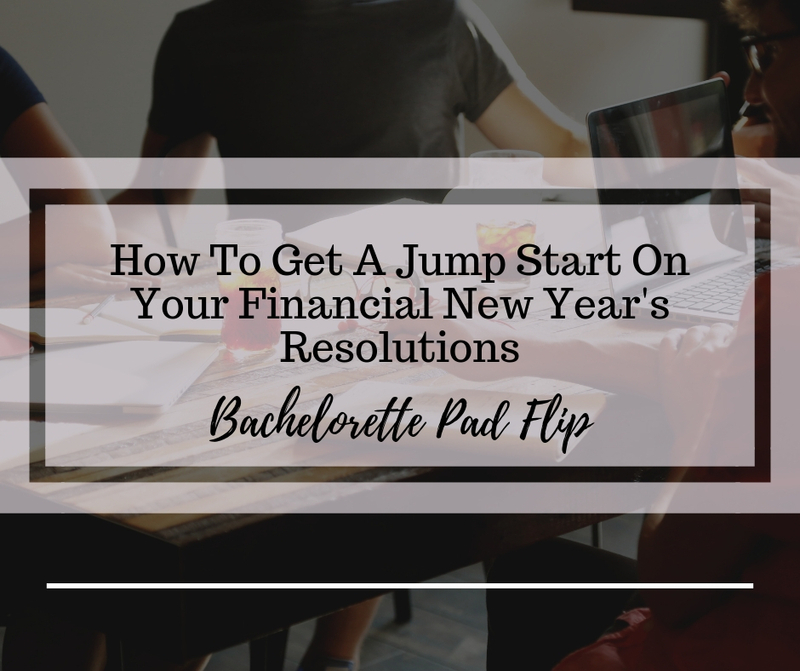 Maybe you want to pay off your student loans, or save up for emergencies, or retire early…those resolutions are possible (remember I paid off $70,000 in 5 years!). Great ideas! I am definitely going to try to lower my credit card rate!! Its 21%! Yes! Get that lowered asap!